On 15 October the Brussels Bronte Group heard a talk from Dr Sandie Byrne of the Oxford University Department for Continuing Education. Rather than taking one theme for her presentation, Dr Byrne gave her audience of students and Bronte fans an overview of the context in which Jane Eyre was written. This began with a reminder of the historical background to Charlotte Bronte’s most famous novel. Chartism, Catholic emancipation, and the Irish Famine were just some of the issues in the newspapers of Charlotte’s day. 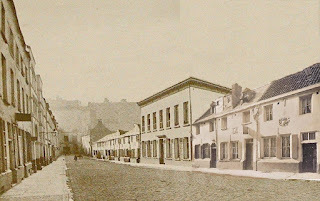 In addition, Dr Byrne told listeners that the 1840s – the decade in which Jane Eyre was published – are known as ‘the hungry 40s’, and follow the beginning of economic depression in the mid-1830s. The Napoleonic wars meanwhile had left Britain with a shortage of men. This meant that questions about governance, equality and the role of women were all in the air whilst Charlotte wrote. Dr Byrne then moved to the seemingly more familiar ground, for a Bronte group audience, of the literary context of Jane Eyre. She started however with some surprising facts: a list of ‘best sellers’ in the years surrounding publication of Jane Eyre offered very few familiar titles. 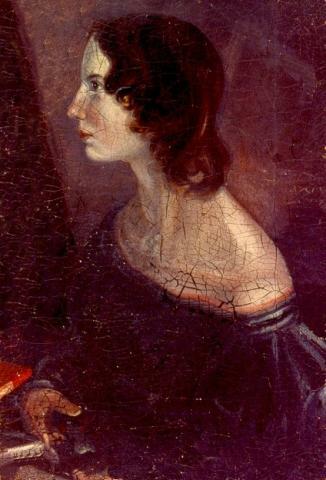 In 1846, for instance, Disraeli’s Sybil was one of the most popular reads. Even authors who are still widely read today did not get most of their attention for the novels we now associate with them: Dickens in 1845 found success with The Cricket on the Hearth, in 1846 with The Battle of Life, and in 1848 with The Haunted Man. A tour of the authors we now associate more easily with Charlotte also offered new insights. Most memorably, Dr Byrne showed how the structure of Jane Eyre mirrors that of Bunyan’s Pilgrim’s Progress. According to this model, Lowood is Bunyan’s low point of life, and Thornfield a true thorny field of trials. “It is hard to overestimate the importance of the Pilgrims Progress to 19th century homes”, explained the speaker. 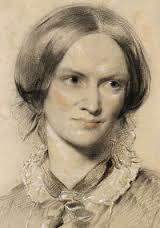 Jane Eyre is not, as many have claimed, a feminist novel, added Dr Byrne. Rather it is an individualist novel, created in an age when the romantic idea of ‘self’ was being formed. This linked to the “romantic eye”, seen also in Wordsworth and Byron, with the self the centre of all things. She added that Jane, whilst one of the most remarkable heroines created in literature, is not the only strong minded and passionate woman character to be found. Examples dating back to the 18th century were cited, with Harriet Martineau’s novel Deerbrook (1839) and Mary Davys' The Fugitive (1705) given as just two places to look. Dr Sandie Byrne was formerly Fellow and Tutor in English at Balliol College, Oxford, and now teaches and designs courses for the Oxford University Department for Continuing Education. She is the author of a number of books and articles on nineteenth- and twentieth-century literature, including publications on Austen’s Masnfield Park and Bernard Shaw’s Plays. Photos: the audience listens to speaker Sandie Byrne putting Jane Eyre in context; students of Facultés universitaires Saint-Louis and Brontë Society members with Sandie Byrne (on right). The second photo was taken by Paula Cagli.